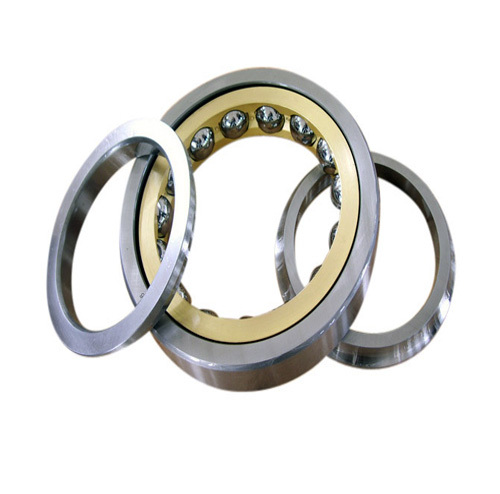 Wind Energy Bearings - Luoyang Huigong Bearing Technology Co., Ltd.
Wind energy,as one renewable clean energy, are widespread used and rapidly popularized in the world. Generally, wind turbine bearings consist of: yaw bearings, blade bearings, transmission system bearings (shaft bearings and gearbox bearings), generator bearings and other bearings. Yaw bearing is mounted between the connection of tower and cabin. Blade bearing is mounted between the connection of blade root and wheel hub. Each wind turbine generator comprises of one yaw bearing and three blade bearings. The wind driven generator are usually installed at those areas with bad weather and transport difficulties. Therefore, the essential requirement for the wind turbine bearings is 20 years free of maintenance. Considering the complexity of the stress situation, the bearing must bear impact and carry high load. 42CrMo with quenching and tempering is selected as the material of the rolled rings( hardness 240-280HB), raceway surface intermediate frequency induction hardened (hardness to be 55-62HRC). In 2006, CHG initiated its R & D projects on wind energy bearings to challenge the monopoly of foreign brands in domestic market. Through continuous efforts, CHG has achieved remarkable performance and gains certain market share. 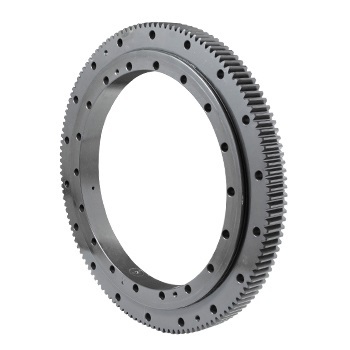 At present, CHG provide high performance yaw and blade bearings as well as the direct drive wind turbine generator main bearing(three row roller slewing bearing) to our customers.